Goose Cotts has 10% off Monday through Friday: wonderful for couples! Quote ONEOFF. 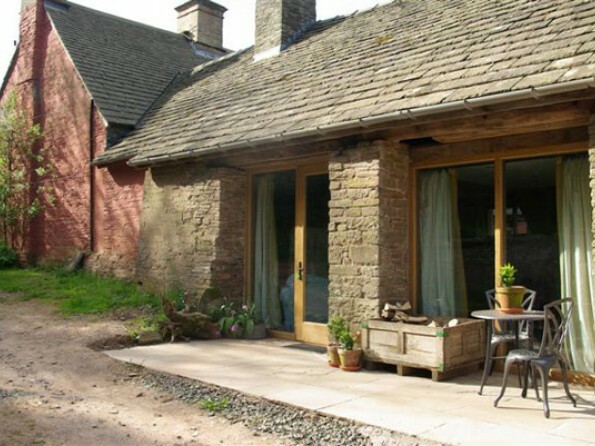 Private, warm and stylish, Goose Cotts is an ancient hall house which has been turned into a luxurious and welcoming romantic nest from where you can explore beautiful Herefordshire at its rural, rugged and unspoilt best. 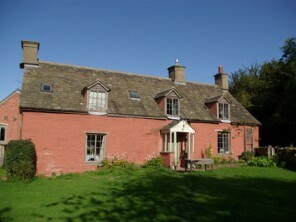 Goose Cotts is one of three unique cottages at Dukes Farm in Herefordshire. 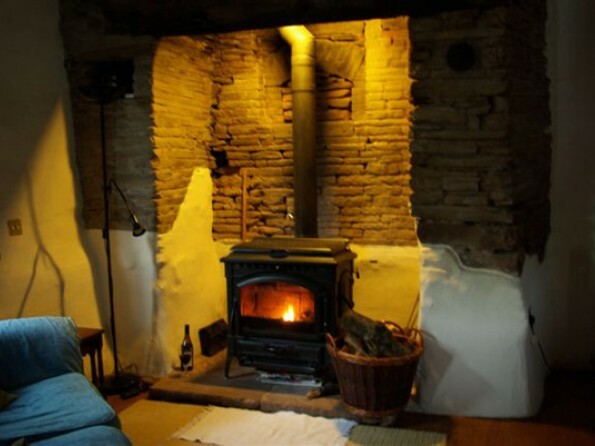 With a stone roof supported by deep cruck beams reaching close to the ground, a wood stove in its massive hearth, and a lovely little breakfast patio where you can have your morning coffee, the cottage is lovingly restored and delightfully cosy. 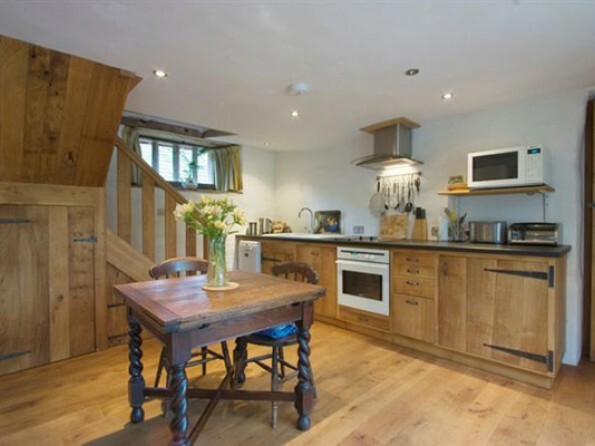 Solid oak floors and fittings are complemented by comfortable furnishings and high quality equipment, and the secluded woodland seating area outside leads directly to the fields. 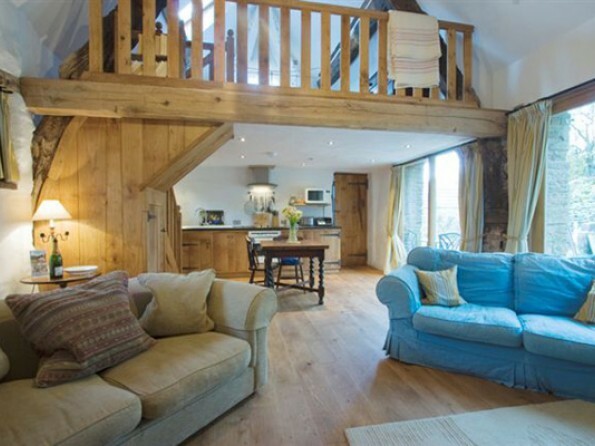 Well-equipped indulgence in the heart of tranquil scenery; this is the perfect rustic hideaway for two. 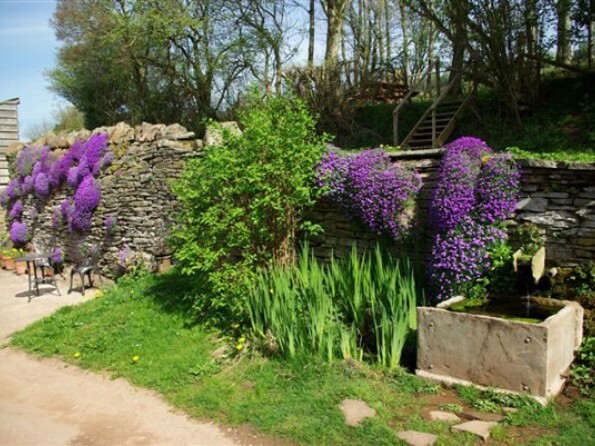 The farm itself covers 130 acres of land, and our stretch of the River Monnow, the Bronze Age burial chamber and other treasures are mapped for you to explore. 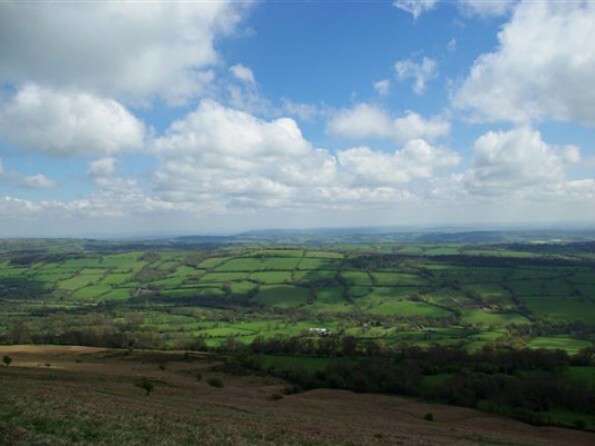 There are lots of footpaths, characterful free-house pubs and ruins in the local area, and Herefordshire is rich in history and culture, with ancient castles and farmsteads dotted around the countryside. 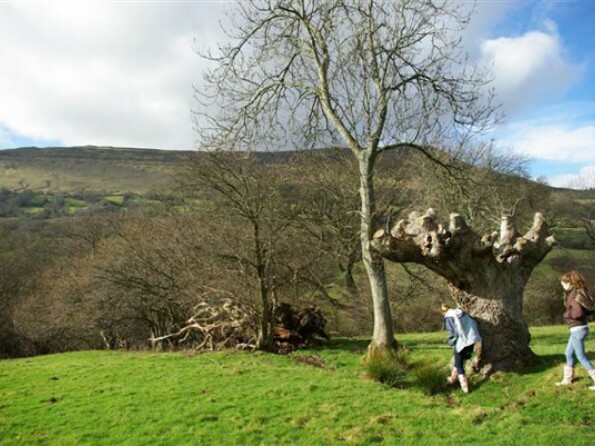 The dramatic Brecon Beacons stretch east into this part of the county, and across the valley and visible from your windows is the Cat’s Back, a most spectacular ridge walk. Hay-on-Wye, with its book shops, literary festival and lively shopping scene, is our local town, and it sits on the best stretch of canoeing river in Britain. 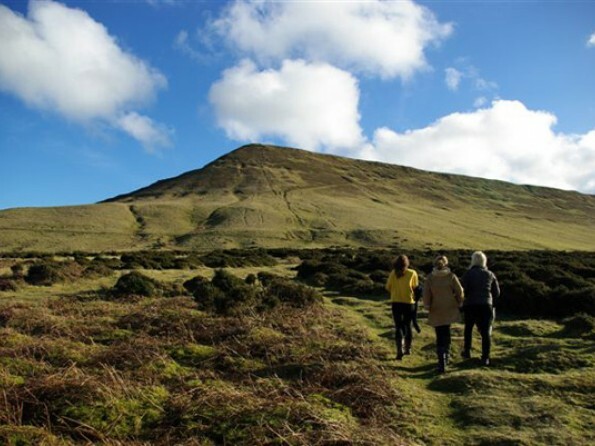 Alternatively you could hire a bike, try some local cider, explore Dore Abbey, visit the Owl Centre in Kington, or take a long hike through the Black Mountains. Detailed driving directions on booking. On the ground floor there is a lounge with an original hearth, a spacious dining kitchen, and a shower room with under floor heating. The lounge is furnished with a wood burning stove, a digital flat screen TV with Freeview, a DVD player, CD/DAB/Mp3 players and a good quality sofa bed. 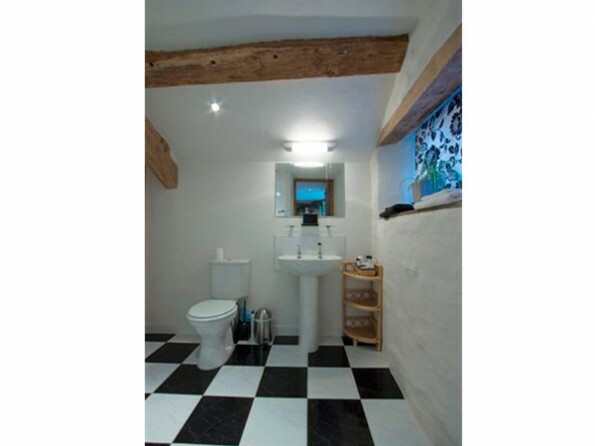 There is also a washing machine on this level. 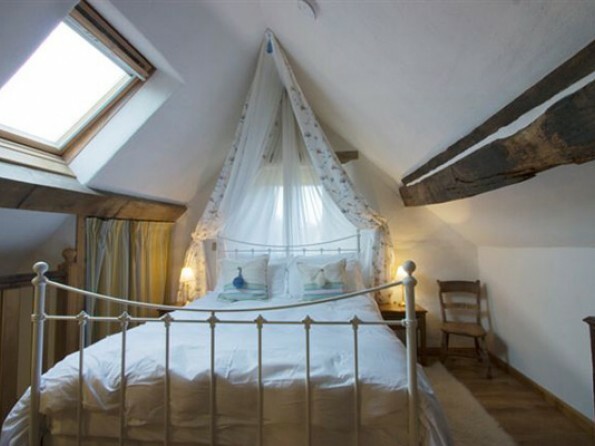 On the first floor there is a double bedroom with a 5ft canopied bed. Wifi throughout. Outside is a breakfast terrace which catches the morning sun and a woodland seating area, and beyond your private space you will find the shared garden with a sunken trampoline and various seats and nooks. 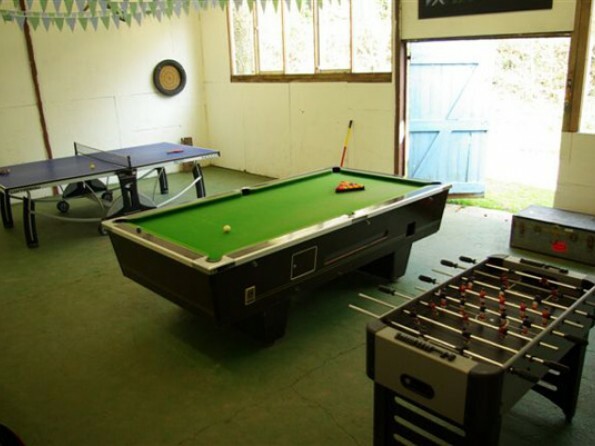 Other shared amenities on the farm include a Games Room with a pool table, table tennis, table football, a chalk wall and a dartboard, and a Boot Room, a public phone, and a wide selection of DVDs, books, games, tourist pamphlets, walking guides and maps. 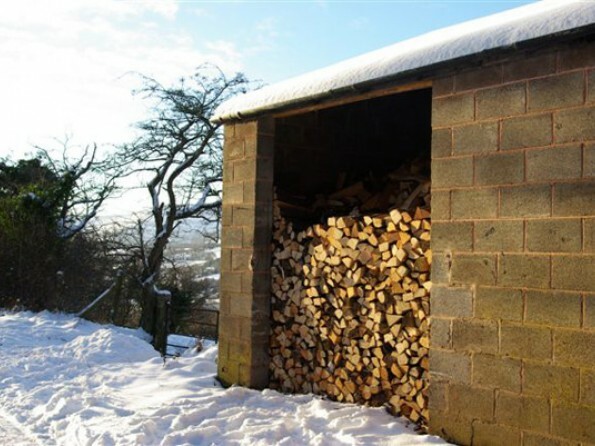 Everything has been thought of to make Goose Cotts as comfortable as possible. 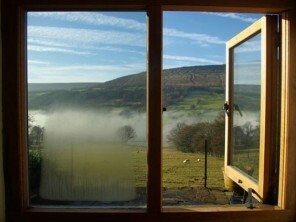 The bed is made up with pure cotton linen on down duvets, fluffy towels are provided, the fire is laid (wood is included in the price), and the kitchen and bathroom are replenished before every stay with basic supplies. Hot water bottles and extra blankets are on standby, things like tea, coffee, sugar, oil and milk are supplied and there is ample kitchen equipment for your day-to-day cooking and cleaning. We also supply cots and high chairs free of charge, and extra beds can be hired for an additional cost. Pets are welcome but please bring bedding with them and keep them clean. You can order online groceries from Sainsbury, Asda and Tesco in Hereford and Waitrose in Abergavenny. 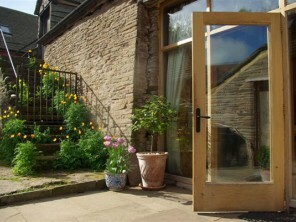 Full catering is also available, or we can put you in touch with local butchers, organic suppliers and cider makers. Arrivals and departures are Monday or Friday as standard, but this can be flexible. We require a 25% deposit and the full balance is payable 28 days prior to arrival.